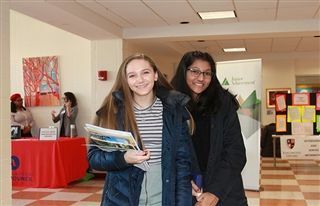 Representatives from over 23 organizations armed with glossy brochures, four-color banners, and ready smiles, greeted our Wyverns this morning to entice them to participate in a plethora of summer programs and career opportunities. 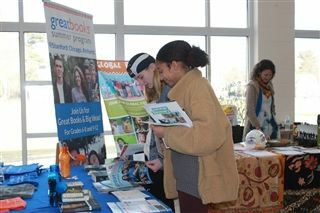 Whether a student has a passion for travel, literature, art or debate, there is a program to suit every student’s desires. The summer allows a student to take a deeper dive into a topic that piqued his or her interest during the school year or pursue something entirely new. Everything is worth looking at more closely, and summer is the perfect time to do it. 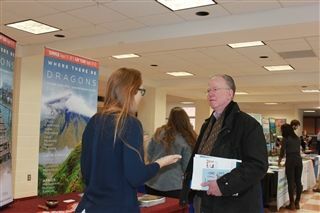 Where They Be Dragons, offers four and six-week cultural immersion trips through the rainforests of Lagos to the highlands of Tibet and other enriching experiences across the globe. 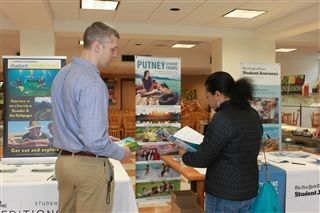 Rustic Pathways, voted best youth travel operator, provides over 100 programs in 17 countries. But, students don’t need to venture to far-flung places to gain meaningful experience. Neighborhood Studios, a local organization, offers paid internships in the arts at the Mark Twain House, Artist Collective and Real Art Ways. Last summer, several KO students participated in the internships and developed a portfolio of high-quality artwork and gained invaluable experience. 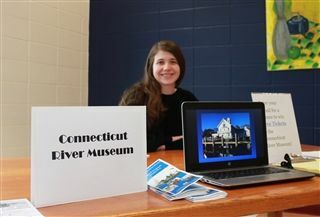 Ally Kyff ’14, public programs coordinator of the Connecticut River Museum, attended the event to showcase the rich heritage and natural beauty of the Connecticut River. 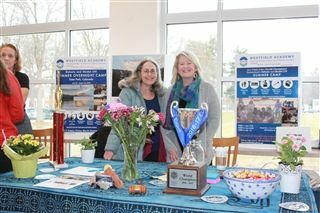 Her organization provides kayak explorations and an opportunity for students to intern at the museum to build their research prowess. Other local programs include our own Camp KO ( sports broadcasting! rock band!) 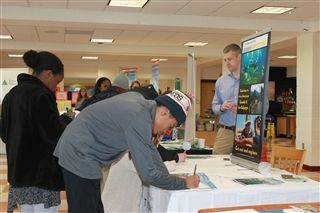 and the CT Natural Resources Conservation. For those wishing to get a jump on developing professional skills, the local Junior Achievement helps students manage money and zone in on career choices. 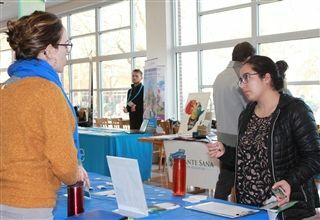 KO teacher Sandi Goss develops students' resume and cover letter writing skills through the Margaret E. and Henry R. Leadership Center and helps students find worthwhile internships.